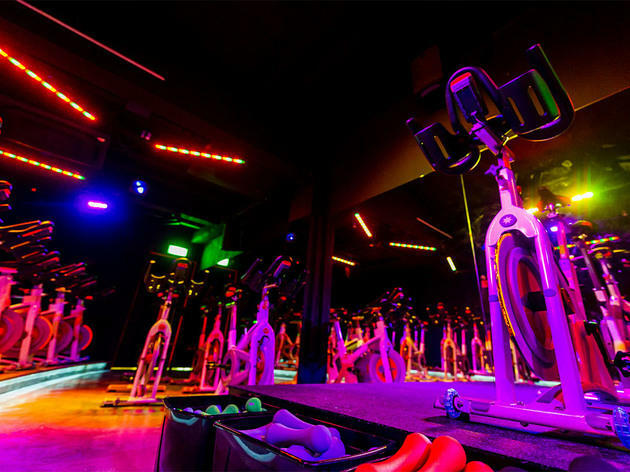 7Cycle is a small boutique gym that specialises in indoor cycling and kettlebell training, ensuring that you get an all-round workout in both stamina and strength. But 7Bootcamp is more than just spinning to loud music while lifting hand weights. 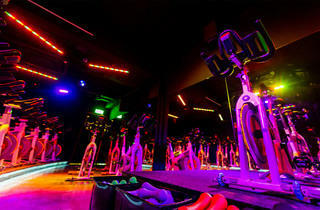 This strength and conditioning class requires you to get off your bike and do bodyweight, plyometric and functional training exercises – they vary according to the day’s trainer – such as TRX rows and kettlebell deadlifts in 30-second intervals. Technique and form are of utmost importance, classes are capped at six people for the trainer to make corrections and give personal feedback to each participant. One thing we love about 7Cycle: everyone is provided a heart-rate monitor to wear during the session, so you won’t be able to get away with slacking off or overexerting.